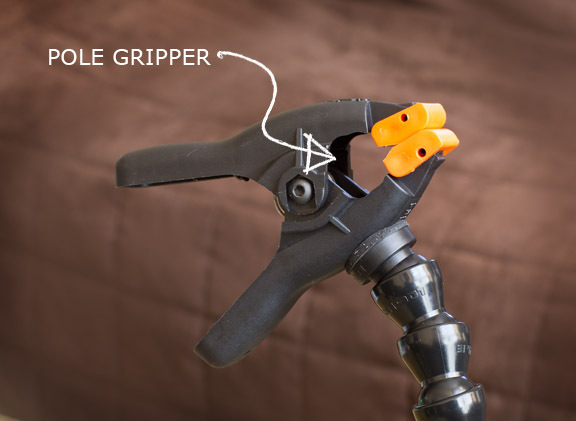 This is a review of the Wimberley Plamp II Macro Clamp. It's a rather curious looking camera accessory and you're probably wondering how in the world you would use one. Simply put, it's acts like you have a third hand available to do your photography. I found out about this gem of an accessory at a macro boot camp and I'm glad I bought one. You'll find out that you can use it as an extremely valuable helper to use with your macro photography, but you can also use it in other creative ways too. Have you ever felt like you needed a third hand to hold something? Maybe you're photographing a delicate object that needs to be held gently in place. The Wimblerly Plamp may be just what you need. It's a very simple, non-tech piece of macro photography equipment that can be used in a variety of ways, both photography and non-photography uses. 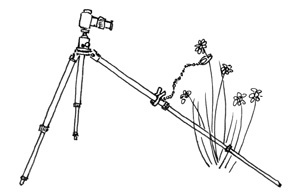 It's mainly designed to clamp to your tripod and gently grip your subject or a light modifier. It's a very light plastic build, weighing in at a scant 7.9 ounces, which is about the same as an adult Syrian hamster, and stretches to 23 inches long. You can bend it in an infinite number of ways to fit it to the exact photographic situation you are in. There's also a version of it called the Wemberly Ground Plamp. The most common use for the photographer's clamp is to hold a flower in place, but you can use it to hold any small object in the prefect position for a close-up photo. Here, I bent the Plamp to balance on a small table and hold a group of pencils in a good spot where the background was solid and the light was good. You can attach the main clamp to one of your tripod legs too. The plamp has 21 independently moving sections that give you a tremendous ability to adjust it in an infinite number of slightly different positions. Here is the close-up photo I got with using the setup above. I used a software technique to darken the edges a little in Photoshop. 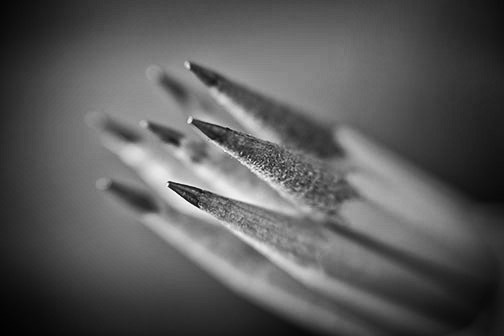 To get the black and white photo of the pencils on the right I used an additional filter in Photoshop called Silver Efex Pro 2. Which one do you like better? The second generation clip on the Wimberley II has a couple of design features you're going to love. The very end of the clip is good for holding flat objects. Just inside that is a rounded cutout area for holding sturdy stems or sticks. The padded foam area can hold delicate plants without damaging them. The inside v-shaped groove make the clip perfect for holding wire-rimmed diffuser panels. You can use the plamp to grip a variety of objects because of several different clamping areas. The pressure from the different gripping areas are all precisely controlled by a thumbscrew to get just the right amount of grip. The list of ways you can use the Wimberley Plamp II is extensive, but here are a few examples to give you a good start. Holding a flower or other subject in place without the wind causing it to move. 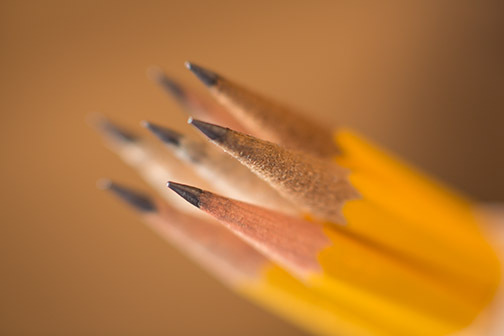 Changing the angle of your subject to get it in a better plane for depth of field focusing. Gripping a small printed background behind your subject. Moving a distracting element from your background. Controlling a small flash light or strobe that is providing fill light. Blocking direct light from striking your lens and causing flare. 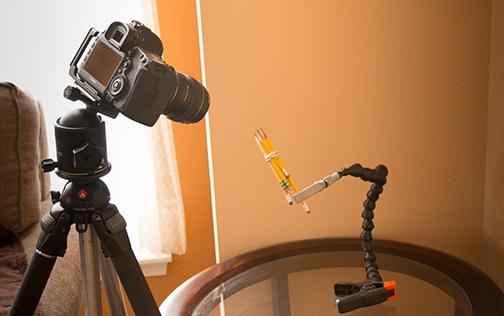 Here's something you can try if you like to get creative with your photographer's clamp. I got the idea from another photographer. 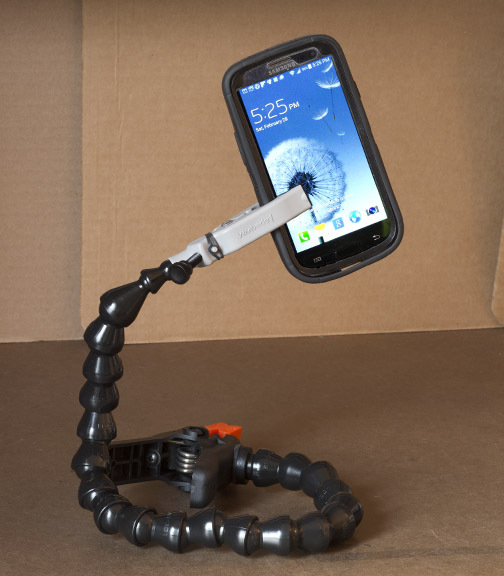 Get two of these gadgets together and you can connect them to form a makeshift, adjustable mini-tripod to handle some really unique photography situations. The end with the more robust clamp can be attached to a pole or gripped to any flat object like a shelf. 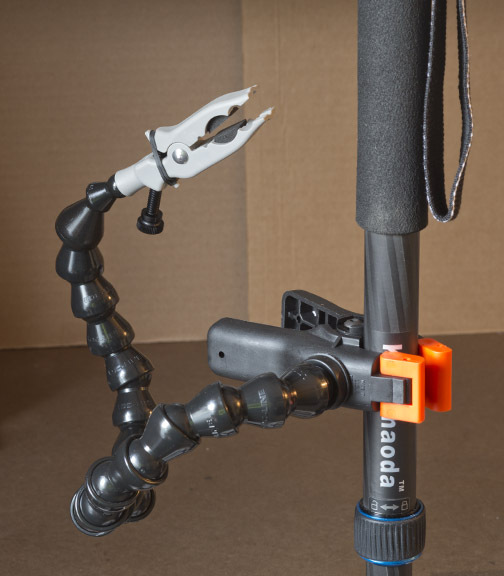 The main clamp is shaped to be able to grip onto poles like the leg of your tripod or can also clasp flat objects in the orange shoes on the ends of the jaws. Most photography accessories don't have any crossover uses, but the plamp is pretty versatile. You can use it to hold other lightweight objects. that frees up both your hands to accomplish whatever task you;re working on. You could use the Wimberley Plamp to hold your cell phone in many different ways, including a selfie video or photo. 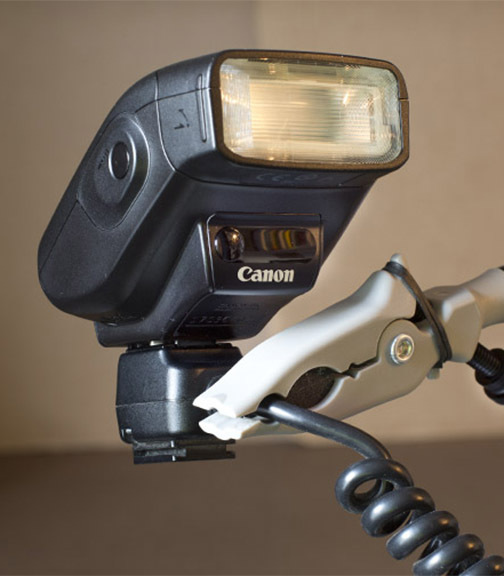 If you used a smarter way of attaching it, you could use the Plamp to hold a small flashgun. I've used it this way more than once to see what I was doing while fixing a drain pipe under the kitchen sink. I'm sure you can come up with your own creative uses for your plamp. these are just a few of the uses that have worked well for me. There are other options out there too. I bought the Wimberly Plamp II for two reasons. It is a second generation product, improved from the first version. The first version was well liked and already popular, but was improved upon after getting customer feedback. High customer reviews on Amazon. It was designed specifically for macro photography and I wanted a lightweight tool, easy to carry, and effective at helping me concentrate to taking great photos. The best site for reading reviews about products is Amazon. They have been a trusted retailer of cameras, accessories, books , and literally thousands of other products for many years. The Amazon site strongly encourages buyers to leave reviews on products purchased. That's great for shoppers like us because we can find out what people really think about a product and not base our buying choices on the hype from the manufacturers. Any review of the Wimberley Plamp should include its weaknesses too and I only know of two shortcomings. The first weakness is that the plamp is quite stiff when you first get one. This makes it challenging to make very minute changes in its exact position. When you're in real close with macro photography, the slightest movements are magnified. The solution is that you just have to be patient when making those small adjustments to get the precise composition you're after. Secondly, like anything else made of plastic, it does have a useful life span that will be shorter than something made of metal. Your Plamp will loosen up after many uses. How much of a problem is this for you? That depends on how frequently you use it. My plamp is still stiff as a board. If you use yours a couple of hundred time, yes, it may loosen up to the point where you'll have to get a replacement. 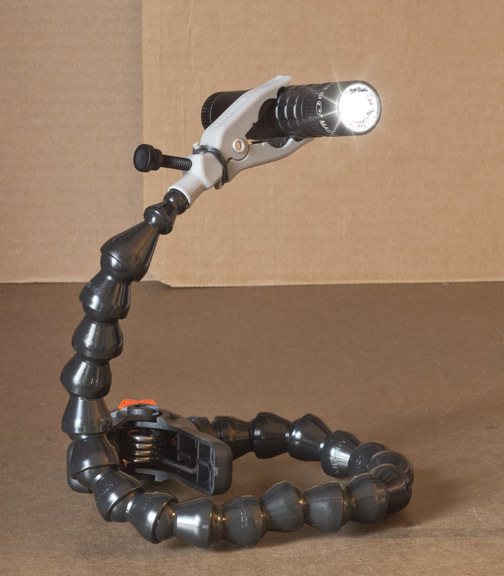 Whether you use your Wimberley Plamp as a clamp for macro photography, a third hand for photography, or as a flexible clamp for another purpose, it's an interesting gadget you can have fun with. Have any friends who like to shoot macro too? 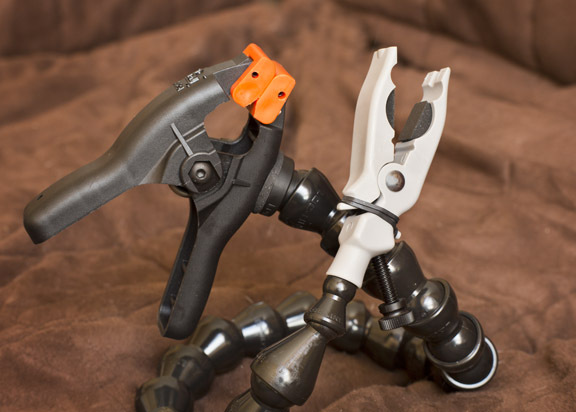 If so, please share this review of the Wimberley Plamp II Macro Clamp with a friend or on your blog. You will find that the plamp is very useful to block sunlight from hitting the lens directly. By attaching a piece of cardboard to the plamp's thumb screw clip, you can position it to eliminate lens flare.